Gail Berry, age 75, of Norris, South Dakota, died on Tuesday, Sept. 25, 2018 at the Winner Regional Long Term Care. Gail Elizabeth (Johnston) Berry was born to David and Helen Johnston on June 3, 1943, in North Vancouver, British Columbia, Canada. Gail and her two sisters Lynn and Vickie lived with their parents on the same street until they finished college at the University of British Columbia. Gail obtained a Bachelor of Science degree in physical and occupational therapy. Later she attended Multnomah School of the Bible and graduated with a degree in Bible training. Gail planned to go and minister to leprosy patients in India, but her plans changed when she met Raymond Baxter Berry. After the first date they both knew this was God’s plan, and as they say so many times: “the rest is history”. They were united in marriage on July 6, 1968, at a little church called Hillside Baptist. Together they lived in Portland, Oregon. They both had a desire to serve the Lord in Missions. After doing deputation they finally arrived in Ingwavuma, South Africa in August 1970. While in Africa their two sons were born: Loren in 1972 and Brent in 1974. Gail and her family returned stateside for a brief visit before returning to the work in Africa until 1980. Gail ran the pharmacy until Loren was born and then became the Station Hostess to the many visitors that came. She loved to cook and sew so any free time was put to good use. Upon returning stateside in 1980, Gail and her husband Ray purchased a farm near Norris and have resided there ever since. She freely opened her home to others especially the friends of her two boys. 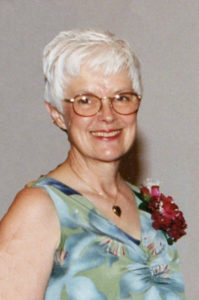 Gail was proud of her beloved Canada, but became an American citizen while working at the Norris Post Office. Gail struggled with dementia which first showed its signs not long after the loss of Grandma Berry in 2006. Gail spent a lot of time with her and missed her greatly at her passing. Survivors include the love of her life Ray of Norris; two sons Loren (Linda) Berry of Rapid City, and Brent (Lynette) Berry of Jamestown, ND; nine grandchildren: Sequoyah, Annan, Serena, Gavin, Benjamin, Brandon, Jacob, Ashlyn, and Canyon; many nieces and nephews; and a host of other family and friends both near and far. A visitation will be held from 5-7 p.m. with a prayer service at 7 p.m. on Tuesday, October 2, at the Presbyterian Church in Kadoka. Funeral services will be held at 10:00 a.m. on Wednesday, October 3, at the Presbyterian Church in Kadoka. Interment will be at the Belvidere Cemetery.